Over the next few weeks we’ll be introducing you to this year’s Alumni Award winners. The UMBC Alumni Association proudly honors distinguished alumni and faculty for their accomplishments and dedication to UMBC. 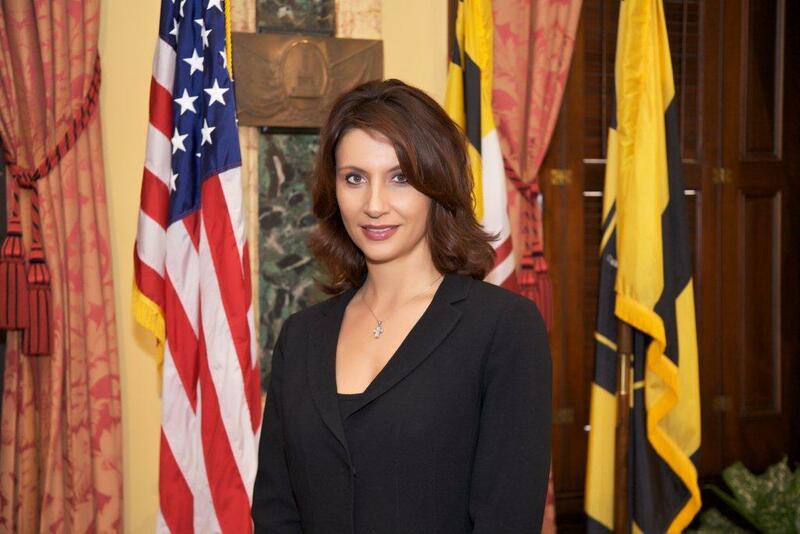 Today we’re talking with Kaliope Parthemos ‘93, psychology, about her career as Chief of Staff to Mayor Stephanie Rawlings-Blake. In addition to UMBC’s proximity to home and its affordability, UMBC had a great academic reputation. My externship program with the Choice Program inspired me to pursue a career in public service. It motivated me to pursue a career where real change can happen through my work. A career where I can use my skills, training and advocacy to help others. I am very proud of being able to serve the citizens of Baltimore City throughout my career, often serving the most vulnerable citizens. Having served as Deputy Mayor for 4 years and now as Chief of Staff of a large U.S. city, I know the decisions made will impact future generations: from school construction plans to new recreation and aquatics centers, to pension reform, to implementing the city’s 10-year financial plan. My greatest challenge has been facing historic budget deficits and dwindling federal resources. I am proud of the fact that when we come into the mayor’s office in 2010, we faced a historic budget deficit of over $121 million without drastically cutting public safety and essential services or raising property taxes. Two things: 1. As a first generation Greek American, I was the first person in my family to graduate from college, much less graduate from law school. I am proud of my professional and educational achievements and strive to always give back in my career. 2. A few months after I became Deputy Mayor at the age of 40, I was diagnosed with breast cancer. I am proud to say that I am a breast cancer survivor.